You'll be £25.00 closer to your next £10.00 credit when you purchase The German Army on the Western Front 1915. What's this? With the Central Powers holding the initiative throughout, 1915 was the year that largely determined the way the remainder of the war would be fought. Constantly on the offensive in the vast open spaces of the Eastern Front, the German Army stood on the strategic defensive in the West. There, with minimal ground-holding forces and thanks to skilful deployment of limited reserves of men and guns, it repulsed with bloody losses every attempt by the Western Allies to drive it from occupied France and Belgium. Shortages of weapons, equipment and ammunition forced both sides to tool up for what was clearly becoming a long war of attrition. Although the Western Front had stabilized by the end of 1914, this did not mean that tactical thinking and developments also stood still. Every Allied attempt to break the deadlock elicited a response from the German defenders, who brought the tactics of positional warfare to a high state of refinement. Trench systems increased in depth and complexity. The machine gun proved its lethality and the result for the Western Allies was one costly setback after another, with French losses reaching a staggering 1,000,000 fatalities by the end of the year. This superbly researched book provides the clearest and most comprehensive German perspective yet on this period of the War. It covers such well-known actions as Neuve Chapelle, Ypres, where gas was used on a large scale for the first time, Aubers Ridge and Loos as well as the appalling clashes in Champagne and the Argonne Forest. 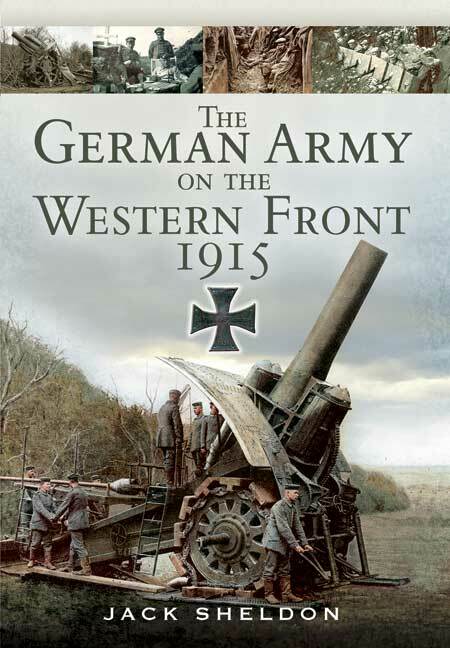 The latest in the Author's acclaimed series, The German Army on the Western Front, 1915 will be welcomed as essential reading by all with a close interest in the First World War. The book comes with a collection of 41 black and white photographs of high quality , in addition to numerous maps of situation where the various clashes occurred for a better understanding of the stories . This is another of those books that leave their mark on the history of the ever and less unknown World War . A well-illustrated book, this is a fine case study in the effect of war as a transformative catalyst in weapons development with inventors, scientists, engineers, manufactures and soldiers interacting together to develop new and ever-more efficient ways of killing their fellow men. Recommended.